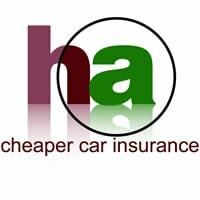 Excellent value-for-money AA car insurance quotes, sourced from a panel of over 20 different car insurers to obtain the best deal for you. With this provider it is possible to save up to 15% when you buy online. Also further potential savings for current AA members. Age UK car insurance is designed specifically for the over 50s. With no upper age limit, this motor insurance is designed for older drivers. Age UK is the country’s largest charity dedicated to helping everyone make the most of later life. Save up to 20% discount with Aviva car insurance when you buy online. Named drivers can earn their own no claims discount. Guarantee your no claims discount no matter how many claims you make (additional option). Endsleigh car insurance began operations in 1965 providing motoring protection to professionals. An independent intermediary with a formidable track record of delivering value-for-money motor quotes for career people, young drivers, student and union members. Motor policies specifically designed for the type of motorist familiar with the John Lewis brand and the company’s high level of customer service. Click through and obtain a new John Lewis car insurance quote now. Reap the rewards of careful driving! If you are looking to obtain a new comparison motor quote, then Quotezone car insurance could be just what you are searching for. Compare quotations from over 80 different providers and insurers in minutes, delivering the best value for money UK policies. The details published on this site are for information purposes only and should not be construed as advice under the Financial Services and Markets Act 2000. HomeApproved (the brand) and www.homeapproved.co.uk (the website) does not act as an introducer in respect of contracts of UK car insurance, and acts merely as a conduit for motor insurance providers. You are advised to take appropriate professional and legal advice before entering into any binding contracts. Buying motor insurance products in the UK can be a daunting task even for experienced drivers. It is important that as a learner, recently qualified new driver or even a senior citizen you are aware of the organisations and bodies that can help you, point you in the right direction, offer advice and regulate the UK car insurance industry. HomeApproved was launched in 2005 and currently leads the UK car insurance Internet revolution with its outstanding access to over 100 of the leading UK motor insurers. Our vision in 2018 is still to be the most customer focused online UK motor insurance comparison company. Copyright 2005-2018 www.homeapproved.co.uk - All Rights Reserved. HomeApproved, 23 Caburn Heights, Crawley, West Sussex, RH11 8QX, UK. Homeapproved.co.uk is a trading name of Officefile Ltd, registered in England with Company Number 04557052.